With the fast development of today’s networking field, many people tend to build a 10G network in small and midsize business for their growing network needs. Then, why they choose the 10G network? How to build an affordable one? If you want to build such a network, what things you should know? Don’t worry. Let’s find all the answers in the following text. Actually, the necessity of a 10G network is quite simple to understand. As time goes on, there will be more traffic and applications running on your existing networks and they will keep growing. 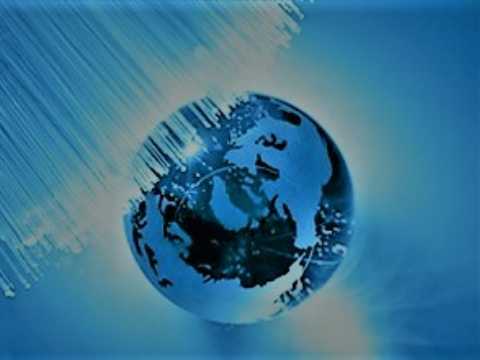 At that time, the common used Gigabit network will no longer satisfy the urgent needs for higher networking speeds and larger network construction. To build a 10G network, there are several indispensable components you need, such as a 10GbE switch (10G core switch and access switch with 10G uplinks), 10G SFP+ modules, fiber cables, servers and storage devices, etc. 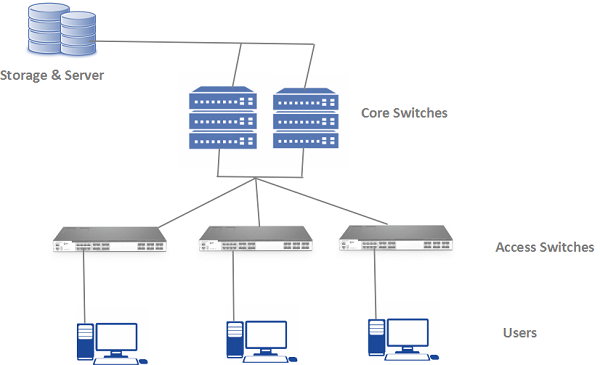 For a connection between the server (or storage) and a core switch, you can insert a 10G transceiver module connecting with one end of an LC cable into the server or storage, and then connect the other end of the LC cable with the core switch. What’s more, the core switch we use is FS S5850-48S2Q4C. This network switch is a 48-port 10Gb SFP+ L2/L3 carrier-grade switch with 6 hybrid 40G/100G uplink ports. It is a high-performance top of rack (ToR) or leaf switch to meet the next generation metro, data center, and enterprise network requirements. Next, you need to connect the core switch with an access switch. Just like step 1, insert a 10G transceiver module connecting with one end of an LC cable into the core switch, and then connect the other end of the LC cable with the access switch. Here, we use the FS Gigabit Ethernet switch with 10G SFP+ uplink as the access switch. This is a fanless switch, which is suitable for quilt requirement in the SMB network. In addition, it has 24 10/100/1000BASE-T ports and 4 10Gb SFP+ ports for uplinks. From all the above, you may get clearer about how to build an affordable 10G network for small and midsize business with the 10GbE switch, fiber cables, Ethernet cables, etc. As long as you use the right way, you can not only build an affordable 10G network but also a powerful network for future network reconstruction. ← 24AWG vs 26AWG vs 28AWG Ethernet Cable: What Is the Difference?